With all the health risks associated with synthetic supplements out there, its a no-brainer that you want to get iodine naturally. And there is one great natural source of iodine that I want to bring to your attention. The source is… Spirulina! Yes spirulina. If you are unfamiliar with what this is, it is called a blue-green algae but is actually a cyanobacteria that is becoming more and more popular in the recent years due to its numerous health benefits. It is considered the most nutrient dense food on the planet and holds several records for nutrient concentration. But what I want to bring to your attention here is that spirulina is NOT a very good source of iodine. Sure it contains iodine, and plenty of it, but I do not recommend that you supplement spirulina for this reason and I will get into the details below. 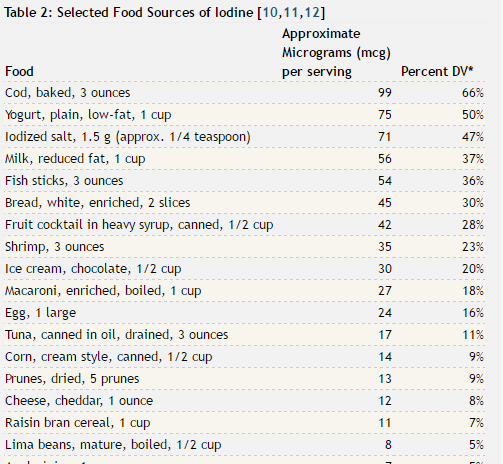 Anyways, lets get into things and first take a look at how much iodine is recommended. 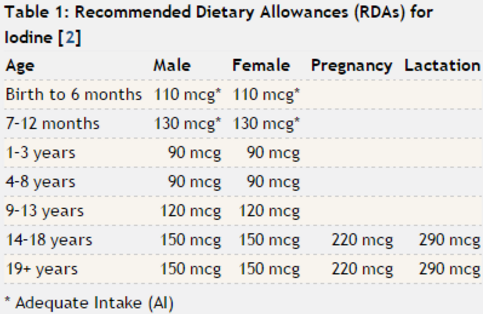 How Much Iodine Is Recommended? The majority of you are going to be wanting to try to consume as close to 150mcg a day as possible. This accounts for both males and females that are over the age of 14. The only exception is women that are pregnant and/or lactating, which need a much higher doses due to loss of nutrients. Now that you know how much is recommended you need to know how much you can get from spirulina. How Much Iodine In Spirulina? The amount of iodine in spirulina varies greatly, and when I say greatly I mean it. Some reports suggest that it can vary thousands of micrograms per serving. And as you can imagine, this is a major problem. The variance has to do with a lot of things. But one of the main reasons is whether or no the spirulina is grown in sea water or fresh water. It would be fine if every spirulina retailer had “iodine content” labeled on their bottles. This would at least let you know what you are getting. But the problem is that they don’t. No one has iodine labeled on the packaging and I think this is a major problem. There is only one retailer that I have found that tests for iodine content. And that is Nutrex Hawaii. They claim that their Hawaiian Spirulina Pacifica contains only 15mcg of iodine per every 3g serving. This would mean that you only get 10% of your daily iodine dose per serving and it is safe for people with hypothyroidism. The bottom line is that spirulina is not a reliable source of iodine. You will have no idea how much iodine you are getting with most of the spirulina supplements out there.